Last year our church embarked on a 2018-2021 plan that laid out six clear priorities. I invite you to visit this plan to get a comprehensive view. One of the priorities is to grow the number of young adults (ages 25-35) who will have a first-time experience with Manchester UMC. I’ve asked Rev. Winter Hamilton, Pastor of Young Adult Ministries, to give us an update. The Young Adult Ministry of Manchester UMC is a multifaceted program with many moving parts. Here’s a quick rundown of how we reach out to young folk. Programming for Young Families: With the help of our Hospitality Ministry, Children’s Choirs, and our Faith Formation Program leaders, we worked to make M&M’s more family friendly. Also, for the first time ever, we now offer classes during Children’s Choir for parents and other church members who may want to go to an early class. Young parents who cannot stick around for later classes now have options for faith formation on Wednesday evenings! In the same vein, we began offering classes for young parents during Circle of Friends Preschool summer camp, and during the school year. Shared Streets: Launched last summer, Shared Streets is a new ministry that meets young adults where they are—outside the walls of our church. Based in South City, Shared Streets brings the love of God to those who may otherwise never enter our church doors. So far, we’ve had a total 38 classes, 4 groups, 65 people who have attended once, 48 people who have attended more than once, and 578 total folks in seats! We have even received grant money from the Missouri Conference office of Congregational Excellence. Stay tuned for more information about this blooming ministry. Programming for Young College-Aged Folk: With the help of our Greeting Card Ministry, all of our college kids receive greeting cards year round. Plus, out-of-towners receive two care packages a year. Over the summer, we offer small group programming for those returning home on break. We have also increased our connection with Maryville University by hosting a Festival of Sharing event on their campus last fall. And, we will be launching a small group on campus this spring! 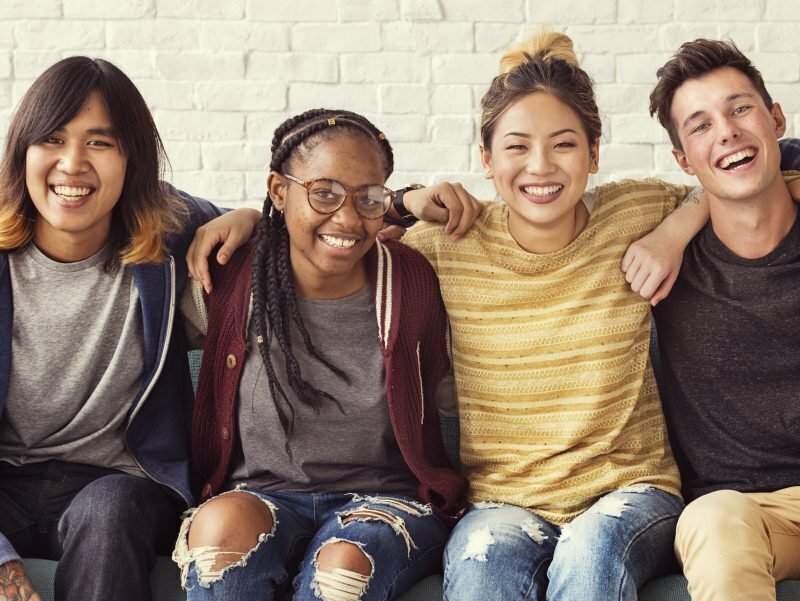 Increased Young Adults in Leadership: As we move toward fulfilling our six strategic initiatives, the Young Adult Ministry is happy that 75% of the Demographics WIN Team is young adults! This is the team that created the new pew card system and is focusing efforts on increasing first-time experiences with those 25-35 in age. We have also increased the number of young adults who attend the Missouri Annual Conference. Lastly, with the help of a NextGen Grant from the Missouri Conference, we still run a very successful Young Adult Discipleship Internship Program. This is a quick summary of the Young Adult Ministry. For more, visit this full article online. We could not do any of this work without the continued support and prayers of you, our church family. Thank you! What are the distinguishing marks in your life that identify you as a Christian? Peter has some clear, and perhaps surprising, ideas about this. Why not read his first letter in preparation for Sunday? I’ll focus on 1 Peter 3:13-17. In next week’s eBlast, I’ll give a preview of this event, which will take place Feb. 23-26 at the Americas Center downtown. If you would like to register to attend as a guest, you can do so online.